After an accident, you might file a car insurance claim and think it is obvious what’s wrong with your car and what repairs are necessary. But it turns out auto insurance companies and repair shops routinely disagree over repairs, and you should pay attention to such disputes. Whether a part can be fixed or needs to be replaced. For instance, a garage’s estimate might call for replacing a body panel, but an insurer might want the body shop to try repairing it first, says Dan Risley, president of the shop owners group Automotive Service Association. What kind of replacement part to use. Sometimes an insurer will not pay for a part from the original manufacturer, insisting a used part or cheaper “aftermarket” version is good enough. Some high-end insurance policies guarantee use of original manufacturer parts. How long repairs should take. A repair shop might estimate a dent in a door will take six hours to fix, but an insurance company will think the work should be done in four, Risley says. Each extra hour is more labor cost. And each extra day adds to the insurer’s bill for a rental car, if the policy pays for it. The labor rate. A garage might have a per-hour cost that’s more than an insurer is willing to pay. Whether there are errors in the estimate. An estimate might call for replacement of a part that isn’t damaged or omit something that does need repair. But such situations are considerably more rare for the rest of us, and we might also have opinions about how our cars should be fixed. Your influence will depend on your insurance policy and state regulations. For instance, the contract might spell out what kind of parts can be used. Most states require repair shop estimates to identify where non-original parts would be used, and nine states require customer consent for the use of aftermarket crash-repair parts, at least in certain cases, according to the Insurance Information Institute. 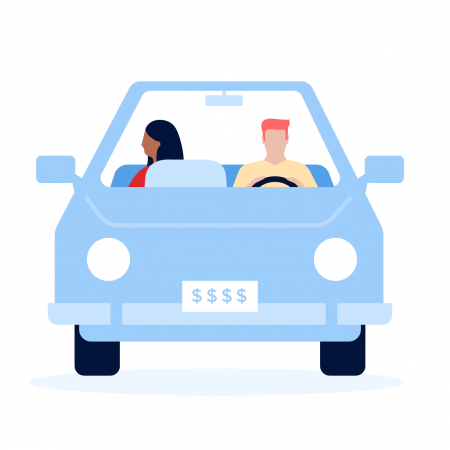 If you’re in the market for auto coverage, try NerdWallet’s car insurance comparison tool.